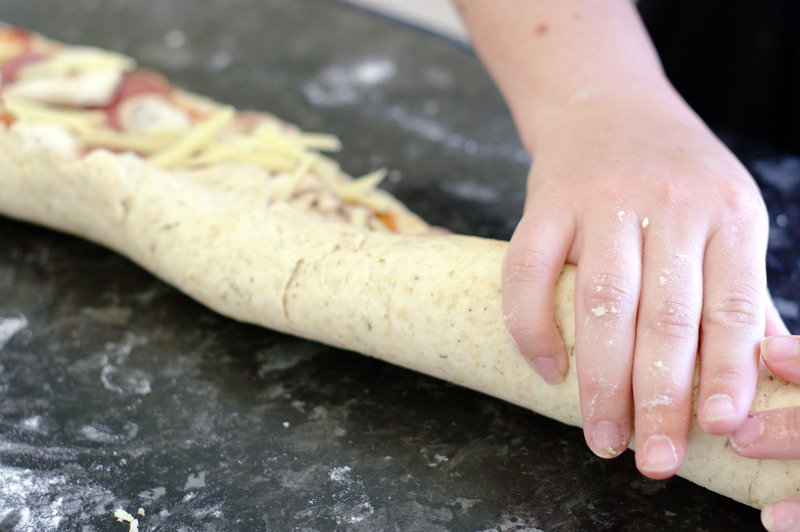 Last weekend the weather was AMAZING and I decided to make savoury scrolls for Ben and I to take on a picnic to our local dam/park/gardens. 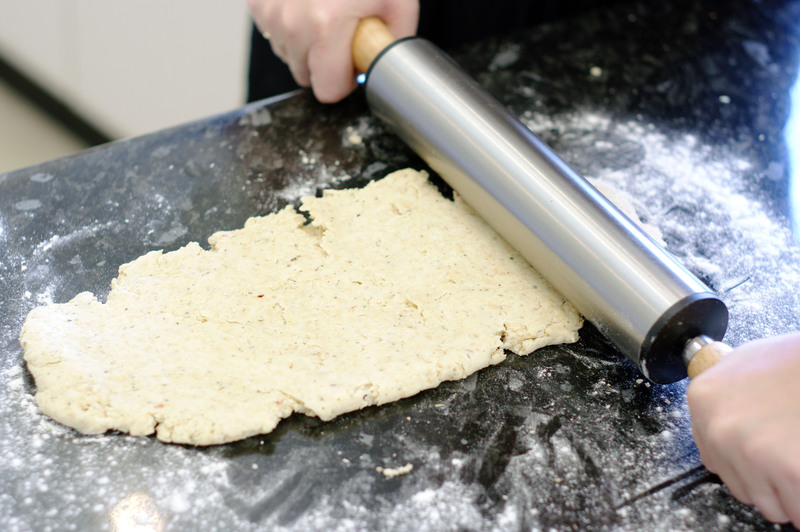 I wanted something quick, easy and without rising time to I developed a scone style herb scroll and it was delicious! 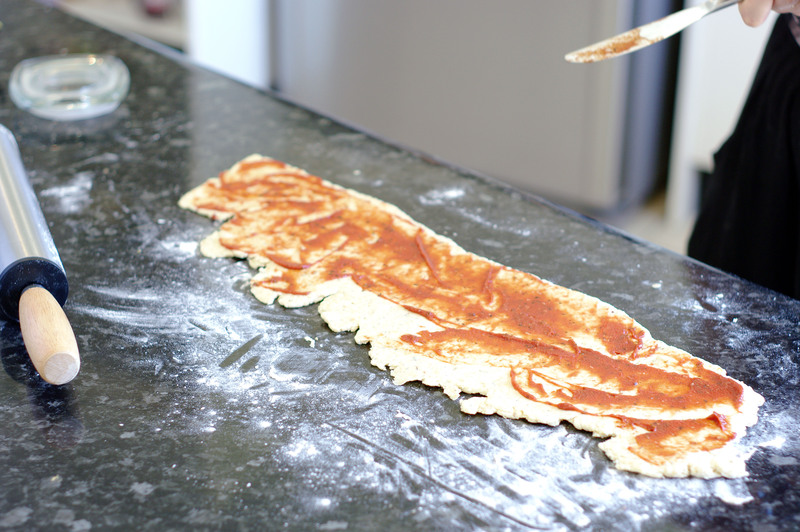 Tomato paste of pizza sauce – to spread. Make sure your sauce choice isn’t too salty! I also put some mushrooms in mine, it did make them hard to roll tightly but I LOVE mushrooms! NOTE: within reason, you can basically put whatever you would like in these – pineapple, fresh tomato, avocado – if hot avocado is your thing. Preheat oven to 180C and line a baking tray with baking paper. 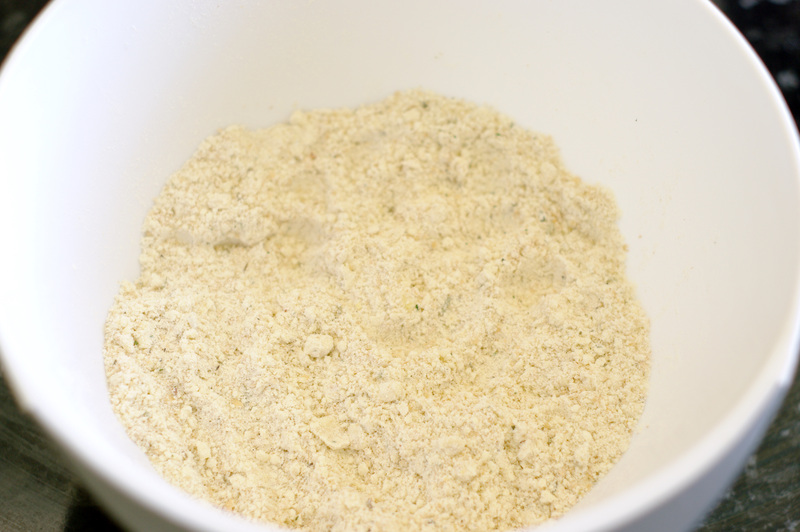 Combine the flour, herbs and salt in a large bowl. 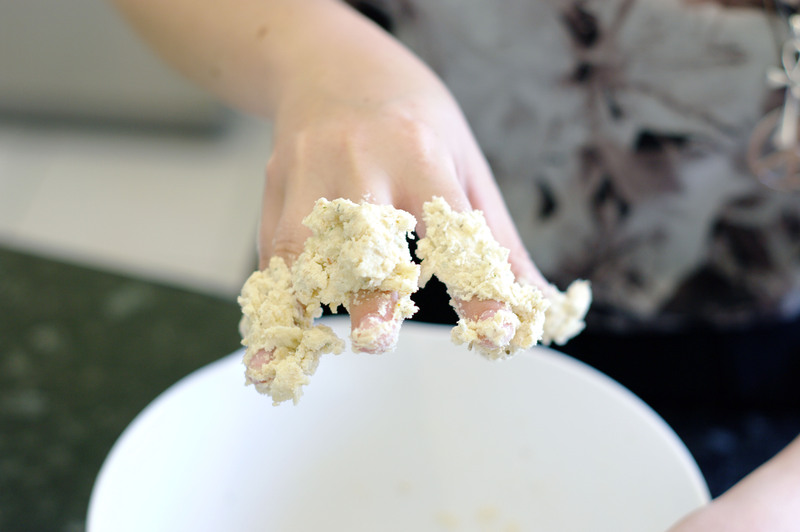 Rub in the butter with your fingertips as though you were making a scone mix – these are essentially just a giant, delicious scone. 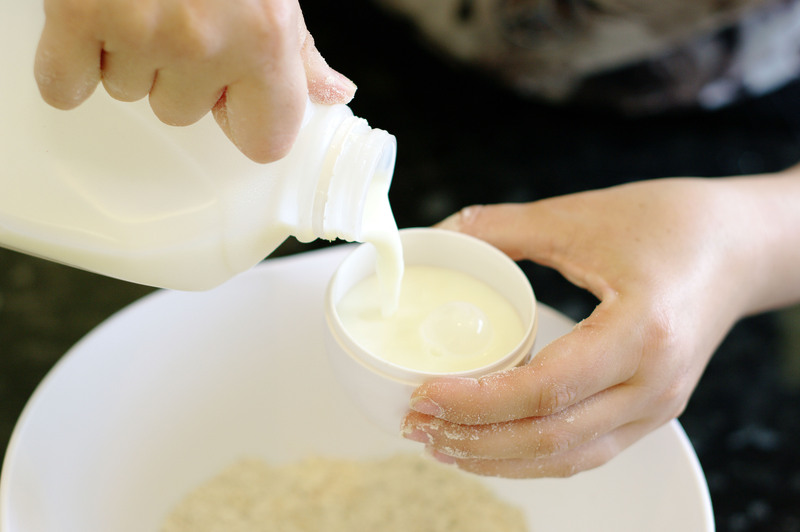 Make a well in the centre of the mixture and slowly pour in the milk. 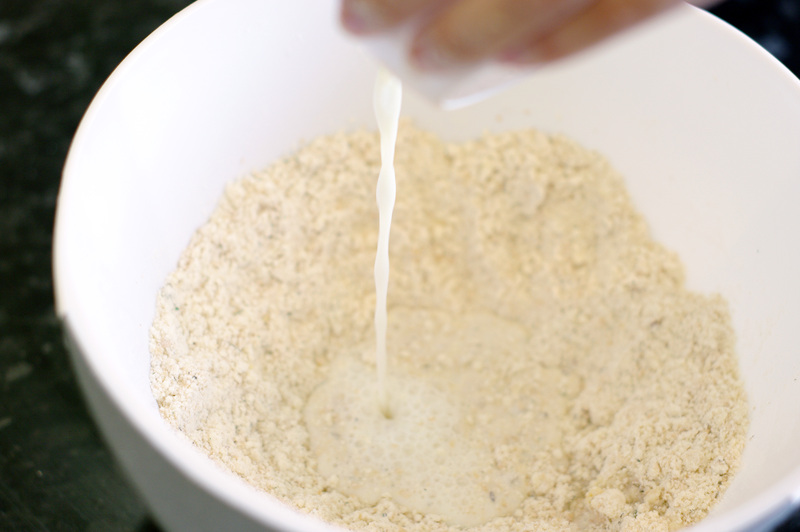 Using your fingertips, again, combine the milk and the flour mix to form a dough ball that lifts away from the edges of the bowl. Yes, you will look like a creepy dough monster while this happens. 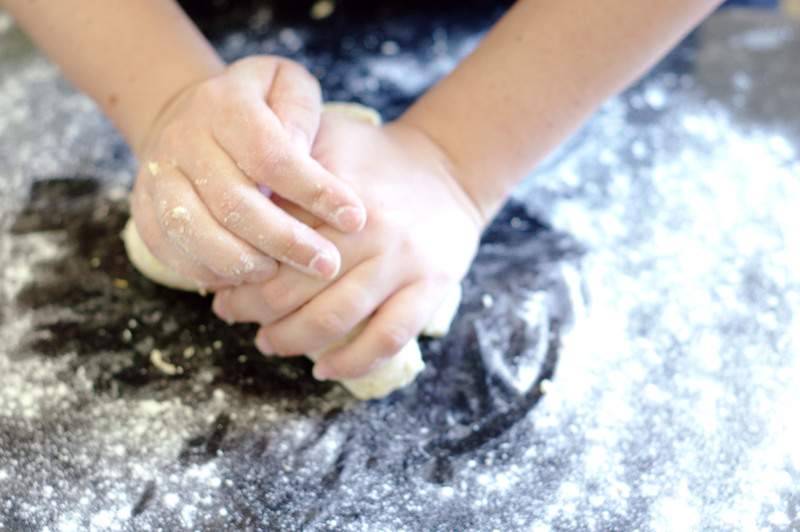 Place the dough ball on a well floured surface and knead until smooth. 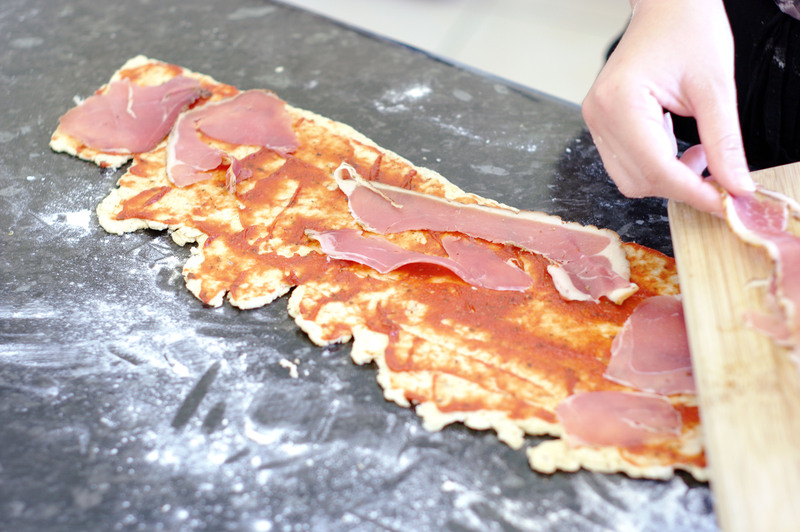 Roll out to form a rectangle approximately 25-30 cm long and as wide as you’d like. I wouldn’t recommend it to be too thick as it will be dry and not very scroll-like. 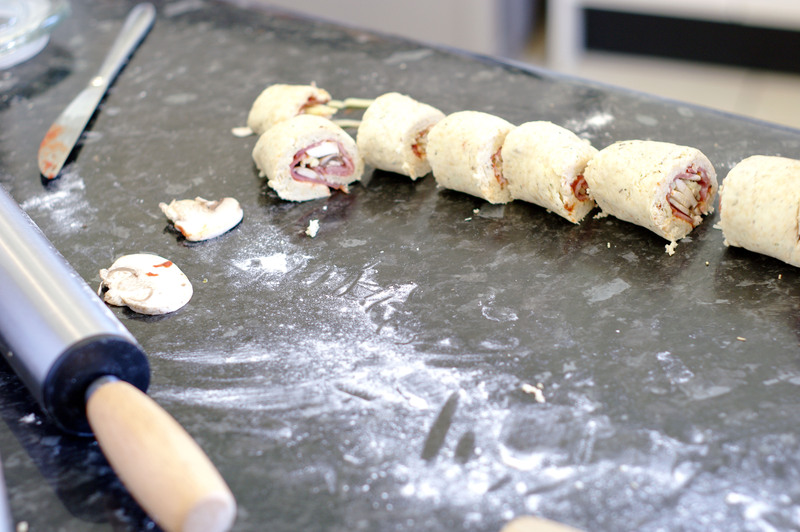 Top the dough with your desired filling, roll width-ways and cut into 2-3cm scrolls. Place onto baking tray and bake for 15 minutes or until golden. 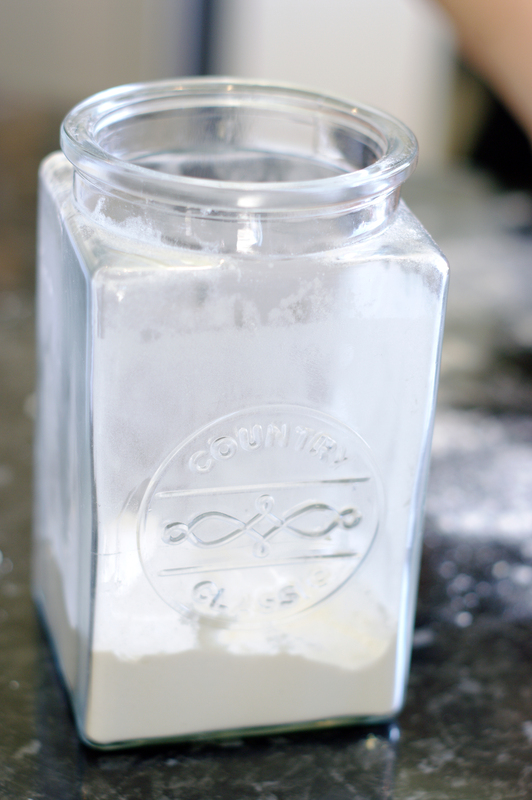 Remove from oven, allow to cool and transfer to a serving tray. Haha thank you! 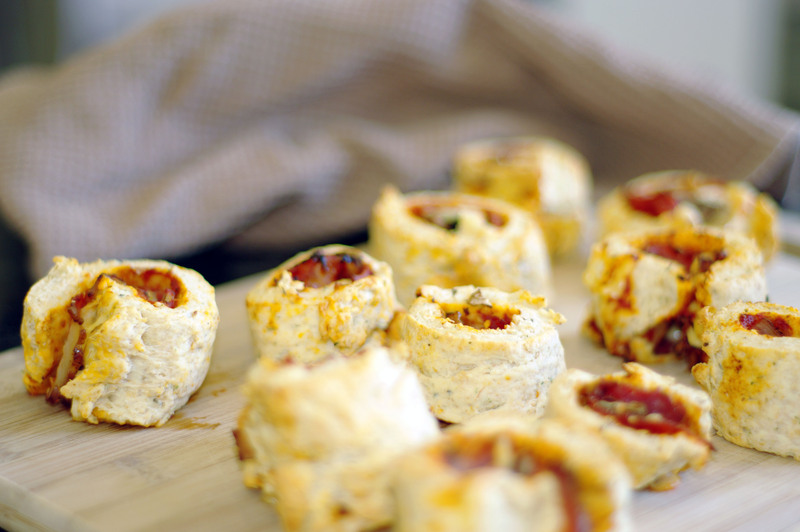 Yes you will have to – they were delicious and sooo easy! 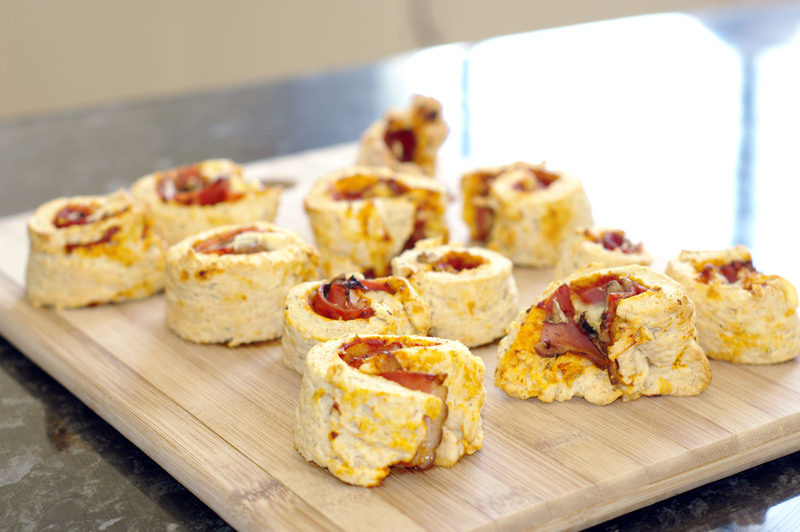 Yum – I have to try these!